Backup your phones and PCs on World BackUp Day! Your world is on your mobile devices and PC: Your family photos, home videos, documents and emails. Unfortunately, you can lose it in an instance. For those folks who haven’t backed up their files, that means disaster. Today is World BackUp Day. Be prepared. Backup your files on March 31st. Women are more at risk than men if their smartphone is stolen or lost, because they do not protect their personal data and information as well as men do. Malware is a growing threat to the Android platform, but because of the small size of our devices, loss and theft is still the bigger threat. Men are more careful about the safety and security of their cellphones than women. We learned that curious fact from an avast! survey conducted last summer, Lost or Stolen Smartphone: The Consequences are Bigger for Women Than for Men. avast! Mobile BackUp is available for Android phones and tablets and comes in two different versions. The standalone free version provides you with basic backup options: Contacts, text messages, pictures, and call logs. If you would like to backup music, video, and apps, then you need to buy the Premium version. This can be done later, from within the free version. Get free avast! Mobile BackUp from Google Play. After you install avast! 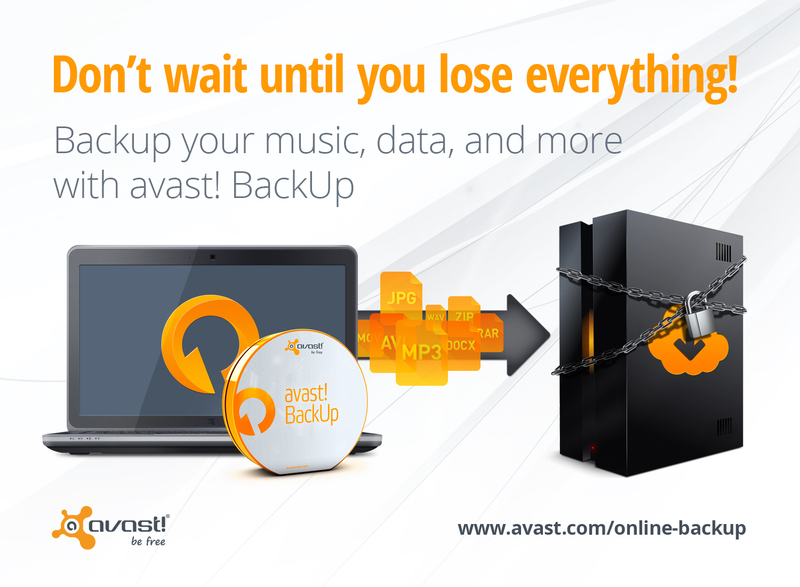 Mobile BackUp, your current data will be backed up to your AVAST Account and Google Drive. avast! BackUp is an online backup and recovery service that allows you to backup your entire computer or select sets of data or individual files you want to back up. You can choose the storage capacity you need, and for a few bucks a month, rest assured that your files are safe in case disaster strikes. Try avast! BackUp free for 30 days. During that time, you’ll get 25 GB for your files.